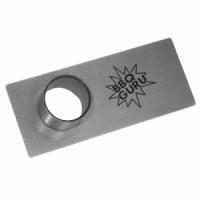 Accessorise your BBQ Guru. All kits parts and adaptors. 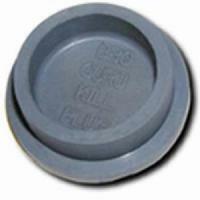 This kill plug is moulded from high temperature silicone and was designed to fit snug. 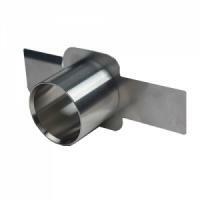 The Kill Plug cuts off air flow so your fire will go out quickly. This control mount is used as a stand for the DigiQ and CyberQ controls. You can bend and shape this to fit your specific needs. Cooking Probe Organiser. Keeps probes close to meat but out of the way! 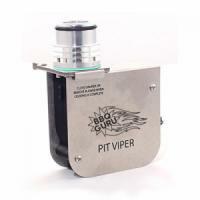 The 6 foot Fan Extension Cord for Monolith Guru Edition BBQ's extends the standard Power Draft Fan for the convenience of mounting the BBQ Guru control box separately from the Fan. 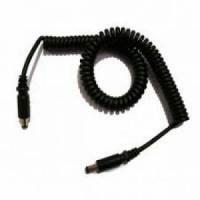 Monolith Kamado Spiral Cable for Guru Edition Monolith BBQ's. 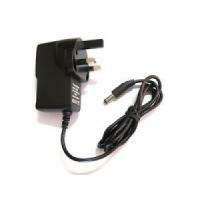 This 12 volt, 2amp UK power pack is a high quality electricity supply, converting 120 volt AC household power into 12 volt DC power for use with smart temperature control systems. 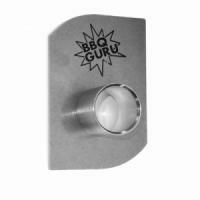 The BBQ Guru Fan Splitter allows you to connect two fans to one BBQ Guru control unit at the same time. 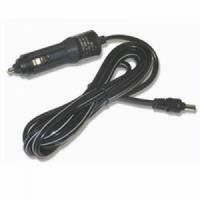 12V DC Vehicle Adaptor Cord for Portable power. 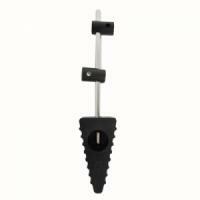 6 foot Food Probe - Used for measuring the temperature of your food using a temperature control system. 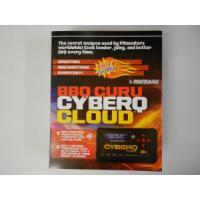 Fits DigiQ II, DigiQ DX and DigiQ DX2, CyberQ II, CyberQ WiFi, CyberQ Cloud and newer model ProCom4 controls. 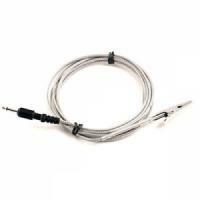 4 foot Food Probe - Used for measuring the temperature of your food using a temperature control system.Fits DigiQ II, DigiQ DX and DigiQ DX2, CyberQ II, CyberQ WiFi, CyberQ Cloud and newer model ProCom4 controls. 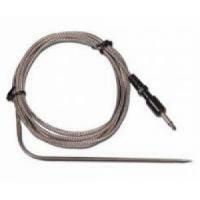 The 6 foot Pit Probe is used to meaure internal temperature of your BBQ, compatible with PartyQ, NanoQ, DigiQ II, DigiQ DX and DigiQ DX2, CyberQ II, CyberQ Wifi, CyberQ Cloud and newer model ProCom4 controls. 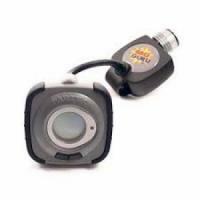 The 4 foot Pit Probe is used to meaure internal temperature of your BBQ, compatible with PartyQ, NanoQ, DigiQ II, DigiQ DX and DigiQ DX2, CyberQ II, CyberQ Wifi, CyberQ Cloud and newer model ProCom4 controls. 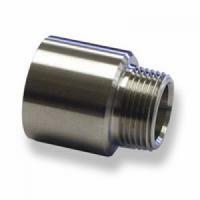 This 3/4” threaded adaptor has been designed to screw into a 3/4” ball valve. Comes with high-temp silicone kill plug. This door was designed to fit the Vision Kamado Pro S-Series with no modifications. It is easy to install and remove. Comes with high-temp silicone kill plug. 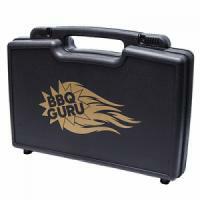 Moulded plastic hard control storage case.This accessory/storage case uses 2 layers of high-density foam and thick wall construction for maximum protection of your BBQ accessories. 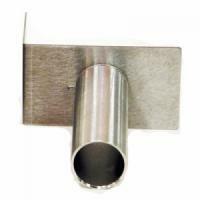 This door was designed to fit into the original Grill Dome draft door track with no modifications. 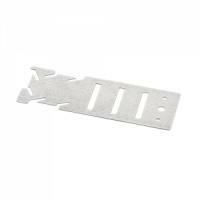 It is easy to install and remove for easy clean-out. Comes with high-temp silicone kill plug. 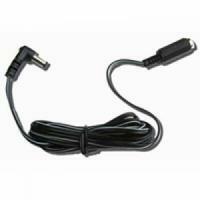 Introducing the newest adaptor for the Akorn Jr. 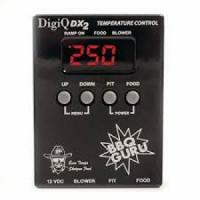 This adaptor can work with any BBQ Guru PartyQ, DigiQ and CyberQ Cloud temperature control device and the Pit Viper fan system. 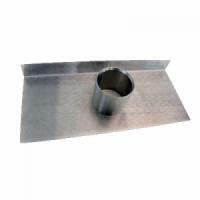 Easy installation for the vent valves on the fire box of your Meadow Creek smoker. 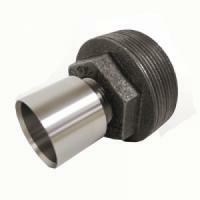 High quality adaptor for the older Pitmaker models. Comes with high-temp silicone kill plug. 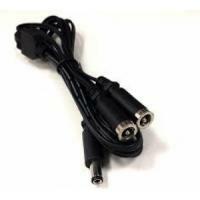 This adaptor consists of two high-quality parts. 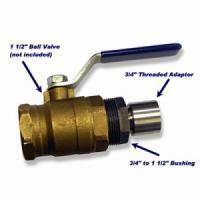 Fits 1-1/2" Ball Valves. Comes with high-temp silicone kill plug. Fits the Browning Ceramic Grill. Comes with high-temp silicone kill plug. 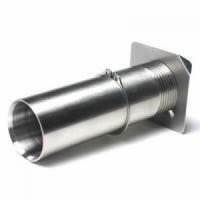 This is a high quality, two part adaptor made up of a stainless 3/4" threaded inducer tube and a 3/4" to 2" bushing. Comes with high-temp silicone kill plug. 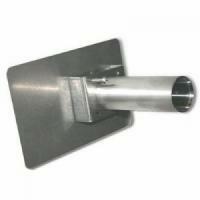 The Backwoods Smoker Adaptor Door is designed to clamp tightly over the existing damper door. 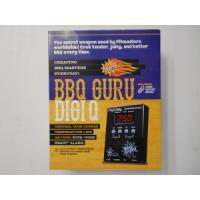 In a matter of seconds you are ready to fire up your smoker and cook all night long. Comes with high-temp silicone kill plug. 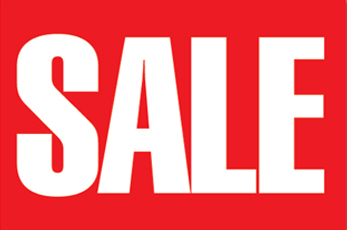 It's the one size fits all inducer. 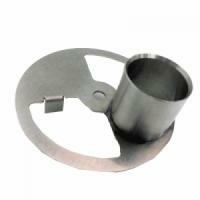 The Bulkhead Inducer can be mounted onto almost any cooker. Comes with high-temp silicone kill plug. The Pit Viper Power Draft Fan is best for ceramics, kettles and most backyard smokers.You can run medium size vertical smoker and extra large ceramic grills. The Pit Viper is a great choice for people who have multiple cookers of different sizes. 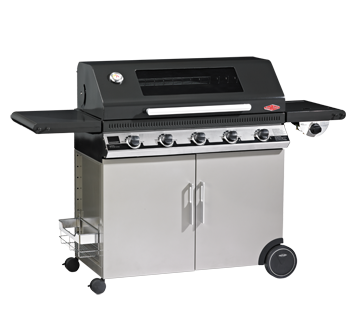 The Pit Bull Power Draft Fan supplies a sufficient amount of air to wood and charcoal fires in BIG BBQ Pits such as large offsets, whole hog cookers, oil drum pits and more. 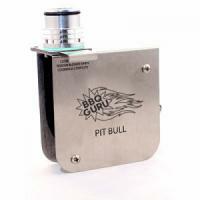 The Pit Bull comes with a 6' lead wire so the fan and control unit can be mounted in separate locations. 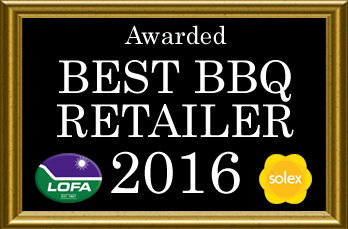 Purchase in conjunction with any Monolith Guru Edition BBQ to create the ultimate cooking experience. Purchase in conjunction with any Monolith Guru Edition BBQ, or use the included Universal Adaptor and Pit Viper Fan to fit on similar Kamado models to create the ultimate cooking experience. 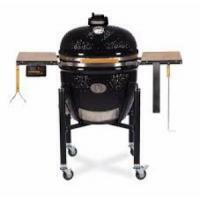 Purchase in conjunction with any Monolith Guru Edition BBQ or use the included Universal Adaptor to fit on similar Kamado Grills and other Smokers to create the ultimate cooking experience. The Guru Edition Monoliths are being pitched as “The Most Advanced Ceramic Grills in the World”, ostensibly because of their integrated temperature-controlled design.